The Telerik UI for WinForms suite includes a limited run time royalty-free license to redistribute the controls in your own solutions subject to the License Agreement. You can use the components in the suite to build your own solutions, and redistribute your solutions to your end users who are not required to purchase a license from Telerik to access your solution. Windows Forms applications for internal company use. Commercial WinForms applications deployed to Your end users. In this case, you may deploy the Telerik assemblies together with your application with the sole exception of the Telerik.WinControls.UI.Design.dll assembly. The Telerik.WinControls.UI.Design.dll assembly may not be deployed to end-users under any circumstance. Products that expose the design-time functionality of the Telerik RadControls or the VisualStyleBuilder. Products that do not add significant functionality to the Telerik RadControls. For additional usage requirements, development restrictions and, defined term definitions, please refer to the WinForms license agreement. For uses that require additional review, please send e-mail to sales@telerik.com to discuss your planned use of the controls. Please make sure that you set the ResolverTypesInCurrentAssembly property in the static constructor of the form. This approach will not work if the property is set somewhere else. If you try to run your solution (not just build it, but run the built executable) when the ResolveTypesInCurrentAssembly is true, you will get an exception since the application executable is still not merged with the Telerik assemblies. Make sure that the application executable is ILMerged with the Telerik assemblies when the ResolveTypesInCurrentAssembly is true and the executable is run. Press the Start button and choose Run. Type "cmd" (without the quotes). In the command prompt navigate to the ILMerge tool directory. Usually, the directory is C:\Program Files\Microsoft\ILMerge, although this directory may vary depending on the Operation System version. : This commands will work in case the application executable and the Telerik assemblies are contained in the ILMerge tool folder. 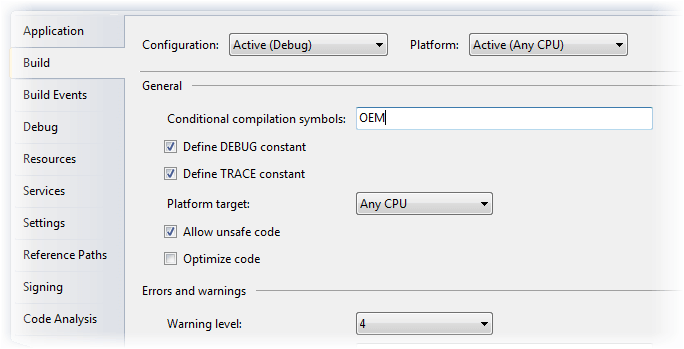 In any other case, you will need to include the full path to the assemblies/executables. In addition, the Telerik assemblies that should be given as parameters, should be those referenced by your application. The MergedApplicationExecutable.exe is now a stand-alone application executable that does not need any additional references to the Telerik assemblies. This method requires modifications to the source files, which are distributed as part of the Subscription license. If you have purchased a Subscription license for Telerik UI for WinForms, and would like to explore this method, the following information will allow you to do so. 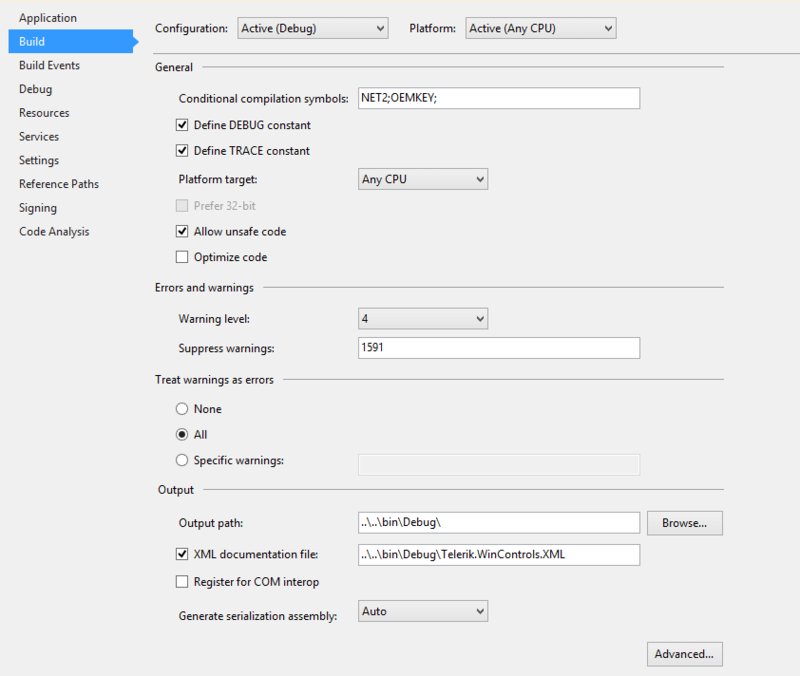 : If you are building the .NET4.0 version of the assemblies, you need to use the Release40 build configuration. In this case, when you add the "OEM" symbol, you need to keep the existing NET4 symbol - "OEM; NET4". Open C:\Telerik UI for WinForms Source\RadControl\TPF\Control\RadControl.cs in a text editor (notepad, Visual Studio etc). Save RadControl.cs and rebuild the solution. In your application replace the existing references to Telerik UI for WinForms assemblies with the ones built from source code and rebuild your project so it will use the newly build assemblies. 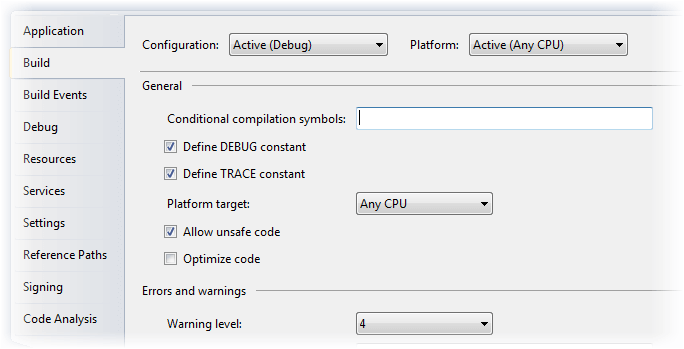 Once you finish these steps, and if you or someone else tries to use that assembly from another application the evaluation dialog will appear (randomly). Open C:\Telerik UI for WinForms Source\RadControl\TPF\Control\ RadControl.cs in a text editor (notepad, Visual Studio etc). Open your project and go to Properties, then select the Signing tab. 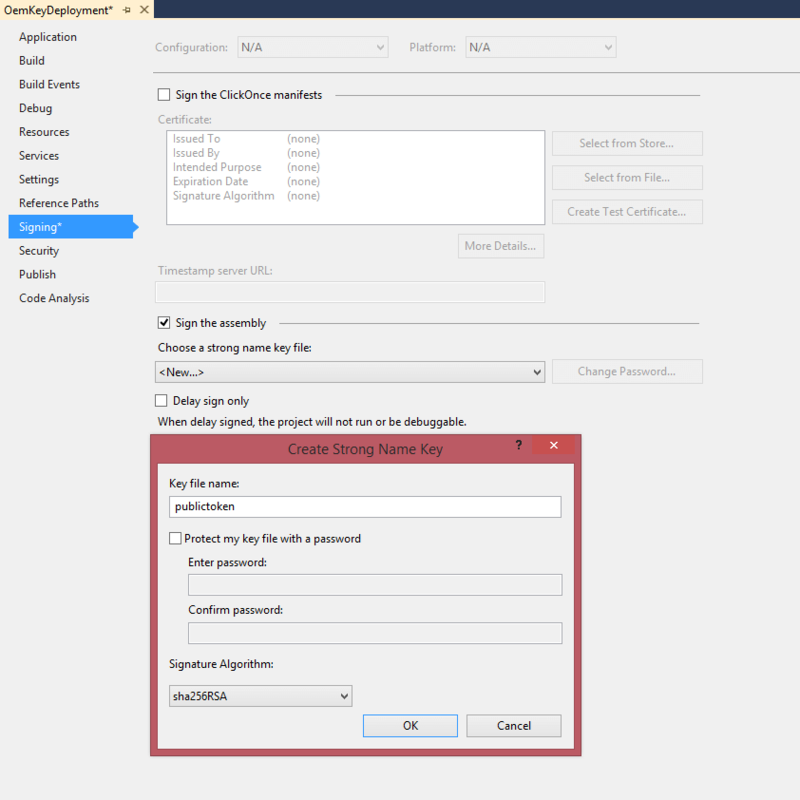 Mark Sign the Assembly checkbox and create a new strong name key. Build your project and copy the route to your executable file. Open the Developer Command Prompt for your version of Visual Studio. Execute the following command with a parameter the route to your assembly. Copy the generated public key token. Return to the RadControlsVS2010 solution, open the RadControl.cs file and set the OemPublicKeyToken to equal the value of the newly generated key token. In order to include the Telerik Document Processing libraries in your application, you should build the source code as described below. The source code of the Document Processing libraries is distributed together with the Telerik UI for WinForms source code and installation and is available for downloading from the client accounts. For brevity this document assumes that the source distribution ZIP file is extracted in C:\DPL. 1. Open C:\DPL\Documents\Licensing\AssemblyProtection.cs in a text editor (notepad, Visual Studio, etc.). In versions of the suite prior to R2 2016, the path is C:\DPL\Documents\Core\Core\Licensing\AssemblyProtection.cs. Friend Const ApplicationName As String = "MyApp"
Friend Const ApplicationName As String = "Sample Application Name v2.0 (tm)"
4. Save AssemblyProtection.cs and rebuild. 5. 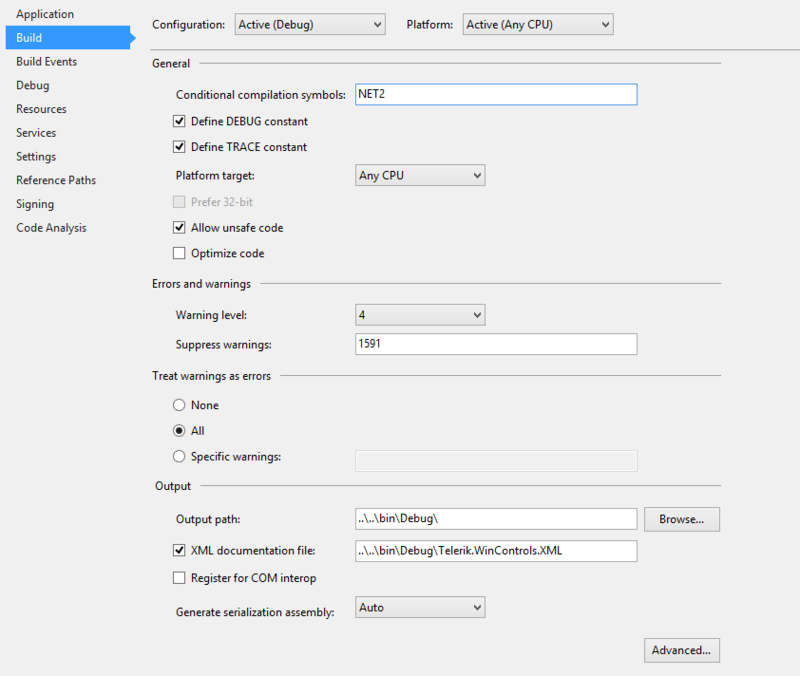 In your application replace the existing references to the Telerik assemblies with the ones built from the source code. 6. 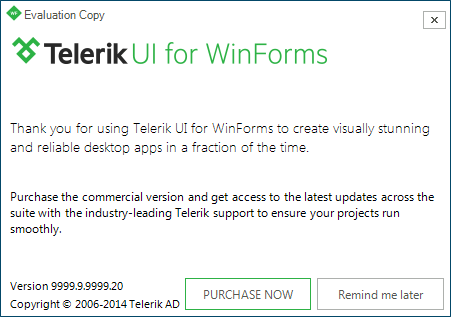 If you run the application now you should get an exception with message “This version of Telerik UI for WinForms is licensed only for use by Sample Application Name v2.0 (tm)”. Note that “Sample Application Name v2.0 (tm)” will be replaced with the value of the ApplicationName constant. When you install the suite together with the installation we deploy a few different kinds of images - some come with the controls, others with the examples, with themes, etc. Following you can find information on which images can be reused in your applications and how this can be done. Images displayed in the examples may not be used/reused at all by our Licensees. Images and other resources provided in the core product may not be used outside of the Telerik components. Images from one Telerik control can be reused in another Telerik control as long as the customer has obtained licenses for both Telerik products. You can find all these assemblies in the /bin folder of your installation.